Consistency is the first of the two essential components of student engagement. Seems simple enough, and for some teachers, it is. The classroom is a haven where all of their outside problems wait at the door. Their moods are unaffected by parking tickets or root canal work. For others however, it is very difficult, sometimes impossible, not to bring their personal struggles into the classroom, and these difficulties manifest as unpredictable moods. Happy on Monday, inflexible on Tuesday, bitingly sarcastic on Wednesday. . . I get it. It is hard. I wrestle with this, and I assume many educators and administrators do too. Sometimes I wonder if consistently crazy is good enough. The inability to not bring personal challenges into the classroom however, creates a disconcerting inconsistency for students. Deliberately working to maintain a steady, positive mood is not something I was taught in my education classes, yet this year’s student surveys and my observations of and discussions with teachers certainly bear out its value. A consistent nature is intrinsic to student engagement, because it lays the foundation for trust. Think about it. Our most meaningful relationships are built on trust. It is no different in the classroom; good teaching flourishes in the presence of strong relationships. Students must know that we will have the same daily temperament, as well as the same expectations each day. When we are predictable in this way, they are much more likely to trust us and become engaged students. 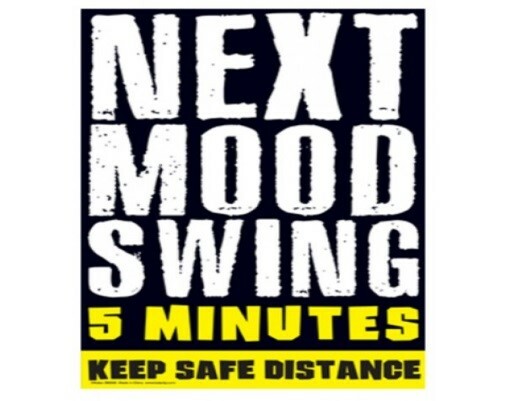 Mood swings are the death knell for trust. I recall a teacher that I had as a young student. My stomach would turn as I entered the room. Two minutes into each day, we knew if Mrs. Jekyll or Mrs. Hyde was teaching. It was impossible to prepare ourselves for this. Even as an adult, this is a difficult characteristic to manage, and I hate constantly having to navigate through these relationships. Our students hate it too, and they deserve much more from us, because inconsistency is tedious. It creates additional work, emotional work, for students that they shouldn’t have to contend with each day. I want my students to put their time and energy into analyzing a story or crafting an insightful essay, not worrying about what kind of mood I’ll be in and how to deal with it. I believe that a great teacher must know how he is seen by his students. If we work each day to be consistent in personality and mood, we can ensure that we are helpful to and worthy of trust from young people. Be consistent. There is a caveat to this call for consistency though. Our students want us to be predictable in mood, not in our teaching style. One of the best teachers at our school is also the most unpredictable in his teaching style. His students cannot guess what activity or strategy he will enact each day. He keeps our young men on their toes with his dynamic, engaging teaching style. Students love this kind of variety in lessons and the execution of them; we just can’t be Jekyll and Hyde when we do them. The students who need us and our consistency the most will let us know in frustrating and disruptive ways. They will chafe at our mood swings, and for those students especially, we must be a stable presence. We are sometimes the only stable presence they have, and they need to be able to trust us and rely on us. These students and all students must know, and deserve to know, what to expect from their teachers. Our predictability in particular moments, and the whole day ahead of us, is essential to our connection with our students and their success in our classrooms. Next Next post: Yes, Drake. This Drake.